If you own an Android device, you might find the interface sluggish and boring after a period of time. Installing a Custom launcher is the best way to customize your Android device & improve performance without getting your hands dirty by Rooting your Android. 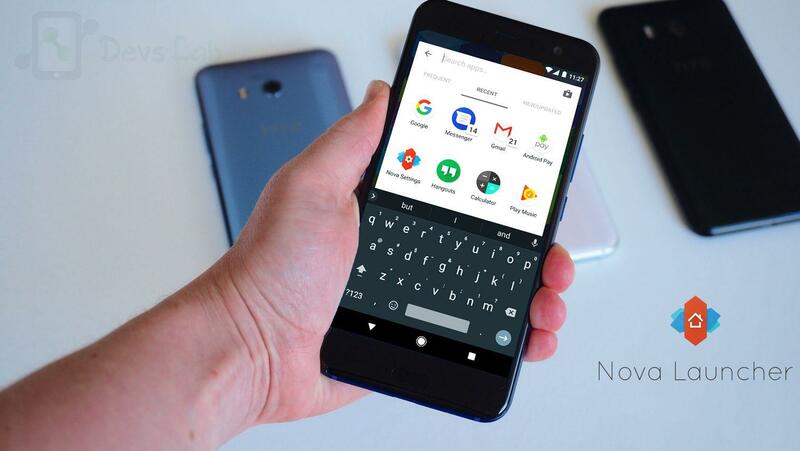 Android allows you to replace its default launcher with anything of your choice. There are more than 100+ Best Android launcher on Google Play Store that customizes your Android smartphone in different unique styles. However, some of them just make your device slower but offers tons of Customizations. While, Some are ultra smooth but doesn’t come with any customizations. Searching for the best Android Launcher is a tough job but don’t worry! we have arranged some of the best Android Launcher which are perfect in all aspects. Custom Launcher have been a hallmark of Android tweaking since the early days. They were partly borne out of necessity, as Android was rather ugly before Google decided to start taking design seriously. Let’s check out some of the best Launcher Apps of 2019. It is surely the undisputed king of customization. It is one of the most Smoothest and highly customizable launcher. 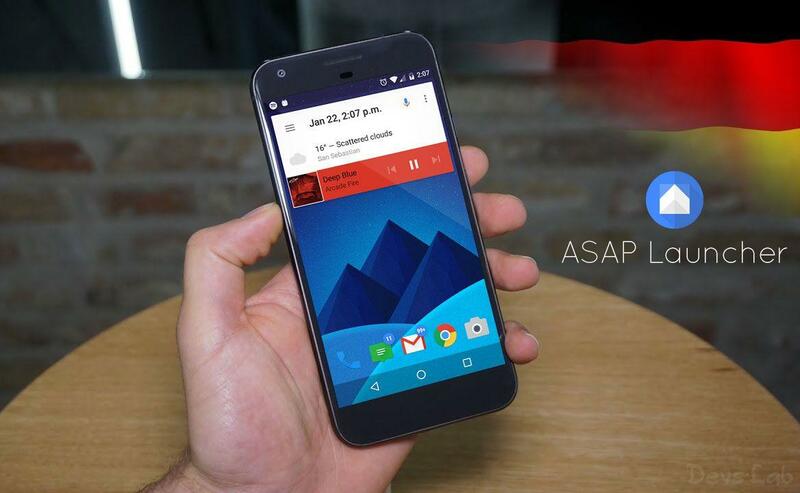 It comes with pure AOSP style launcher however, you can customize it using any Icon pack. The best part is the level of customization & Performance it offers. With around 50 million downloads & 4.6 user ratings, it’s surely user’s favorite App because of its simple yet feature rich interface. With the addition of Google Now, Nova Launcher surely has no competition left. Nova Launcher is a customization & Pure Performance Package. The previous ADW Launcher was a really good customization option, but because of no updates by developer, it was out of our list. But here it is, standing at the top with one hell of a launcher to offer. 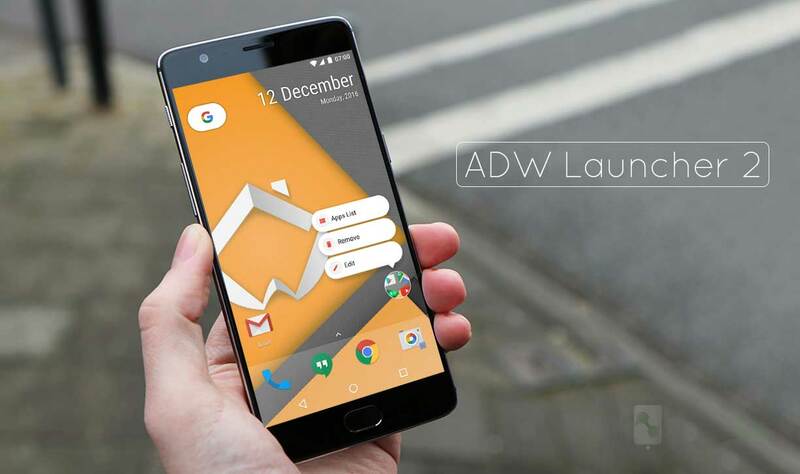 ADW Launcher 2 is one of those launcher which offers premium features of other launchers in a free version. It comes with every customization options that you would think of. The best part is, it comes with a Pixel theme which allows you to customize every aspect as per your need that too in the free version. A Phenomenal home replacement option. It’s Fresh, neat, responsive and lightweight. It is one of my favorite & the most perfect Material designed Android launcher. Its best in terms of design. It is the only launcher which has Quick Theme feature i.e the colors from your wallpapers are extracted, and used to customize the look of your layout. This launcher allows you to customize its every piece. It comes with some of the most unique features like Quick theme, Shutter & Covers. Its perfect for customization as well as performance. But this launcher comes with a price, the free version isn’t that attractive. This is undoubtedly one of the most smoothest launcher in the PlayStore. Everything looks neat and attractive that you won’t get bored from it. Swipe up Anywhere on the homescreen and find the App drawer. Everything is properly put together except the Search bar. An option to replace the default search bar with Google search box would have made this a perfect and practical launcher. 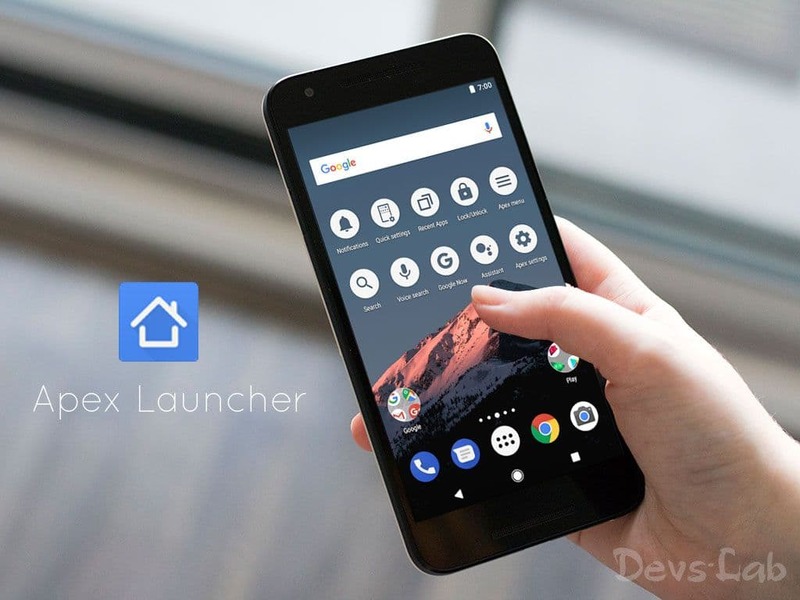 Apex launcher is one of the most aged launcher on the Google PlayStore. This launcher doesn’t come with those fancy options or unnecessary bloatwares. It’s Simple, Minimalistic and lightweight. Offers a pure AOSP style home screen with many tweaks to play around with! Apex launcher has around 50 million downloads with 4.3 user ratings. It is very light as compared to other Launcher that provides the same features. It’s Simple, Minimalistic and superfast compared to the competition. ASAP Launcher is a very simple launcher which wants its users to perform tasks with minimum swipes & efforts. This launcher focuses on performance & improving overall user experience. It doesn’t offer much customizations, but a perfect Home replacement for those who want quick access to every Apps & functions of their device. I’m personally not a big fan of the App dock trying to guess what apps I’m going to want. A similar dock with manual positions would have been better. This App comes with a Calendar & To-do list at the right swipe. It also has Contacts and a beautiful weather App at the right. The only annoying feature here is, it doesn’t allows you to keep Apps on the Homescreen except the dock. It’s smooth, unique and gets everything done much faster. Since the Google Now launcher is discontinued, there are no new updates for the App. But most people still use it because of its Simplicity, less resource consumption & butter smooth interface. 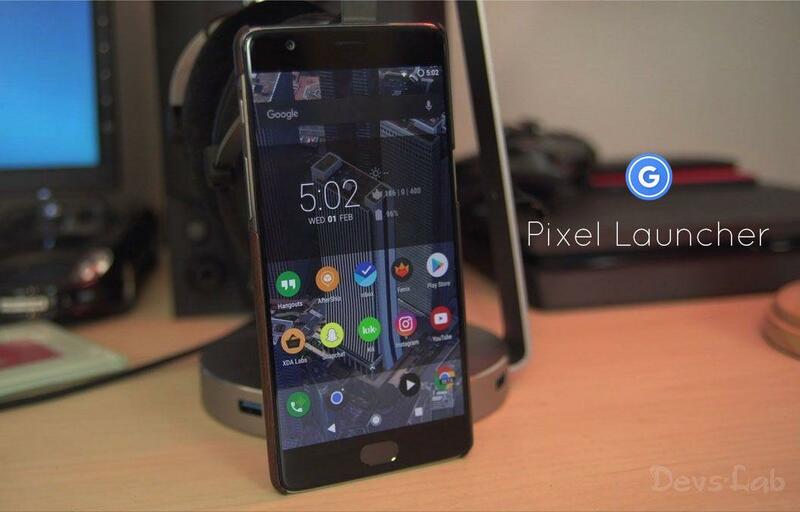 Now it’s time to switch to the Google Pixel launcher which comes pre-installed in Google Pixel devices. If you install the original launcher APK, you can get the launcher without Google Now feature. But thanks to our developer friend, AmirZ, you can now enjoy Pixel Launcher with Google Now without rooting your device. Talking about the launcher, it is butter smooth and no bugs. It’s a perfect port. 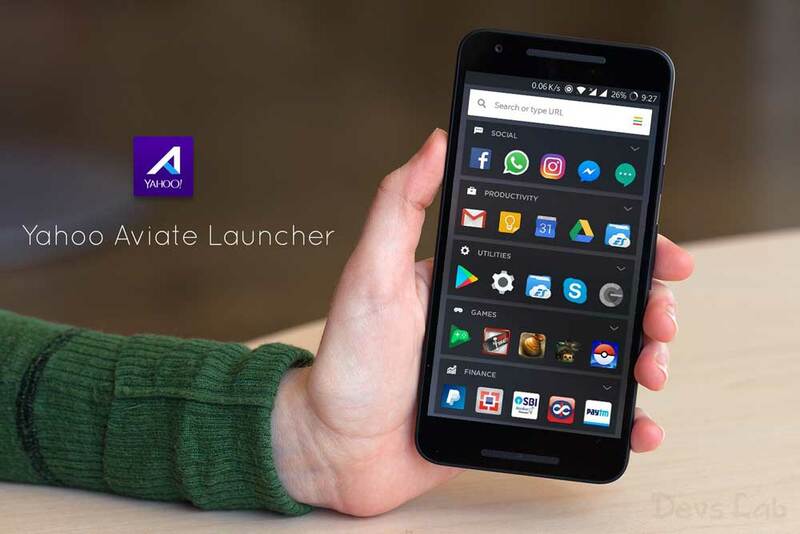 Yahoo Aviate launcher is one of those few Android Launcher Apps that works intelligently. 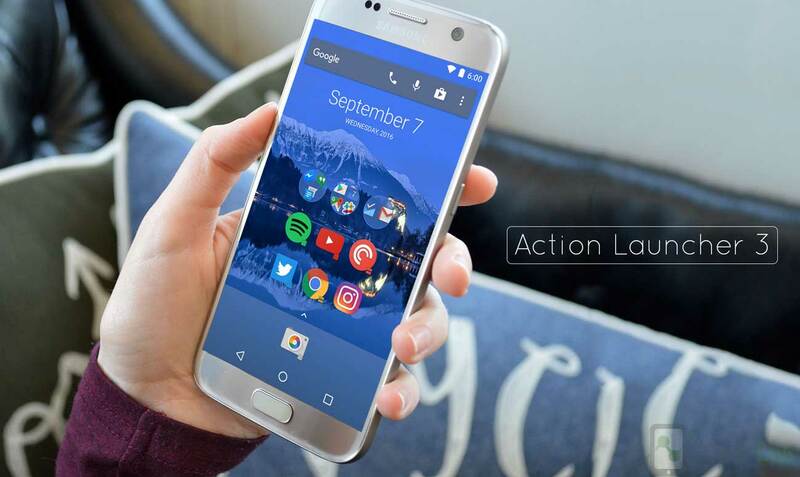 You’ll surely love this launcher if you happen to keep everything organized in your device. The home screen anticipates the information and apps that are useful to you based on where you are and what you’re doing. It’s a decent replacement to Google Now. It tells you about nearby places, weather, to-do list & lot more. It comes with a very unique and beautiful App drawer. In the morning, check the weather, traffic conditions and news for the day. On the move, quickly see traffic to your next destination without opening an app. At work, view your agenda for the day, or quickly find a nearby coffee shop to meet with a client. Headphones instantly pull up music apps and band/artist information. Out and about, see photos, tips and reviews for places nearby. It’s interactive, organized and informative. 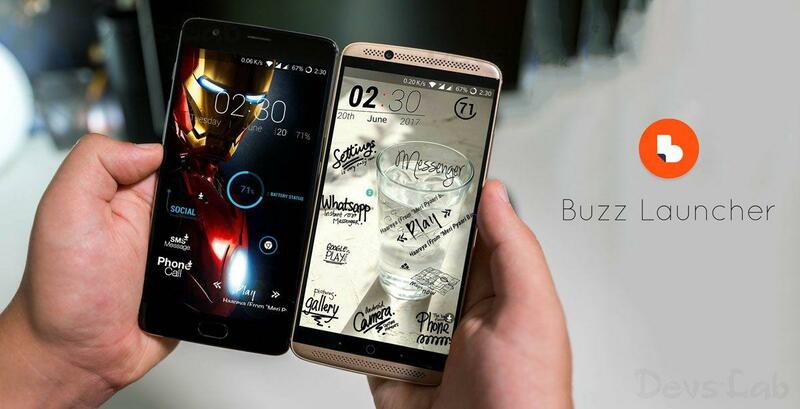 Buzz Launcher comes with “Infinite level” of Customization, which you cannot find in any other launcher. If you were a Themer user, buzz launcher is the perfect & better replacement of it. It allows you to customize much more than just your Wallpaper and icons. One of the most exciting thing about this launcher is, you don’t need to make the “perfect” launcher, you can find one from it’s theme store. Although the launcher goes too hard on resource consumption, it won’t be a problem in flagship devices. It has over 50 million downloads & user rating of 4.4. A concept launcher that just turned real and much better. Stock Interface isn’t pretty always. Just like everything, you might get bored of it very soon. 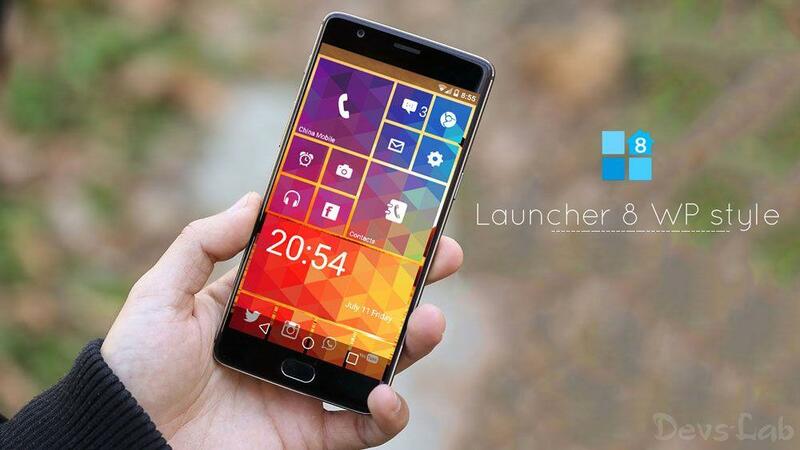 Launcher 8 WP Style, offers a Windows Phone like interface with great customization options. Along with the launcher, the default Notification bar/drawer gets replaced with the Windows Phone like Notification bar. Although this launcher consumes too much of CPU Process, its a really good launcher “for a change”. A Perfect Windows Phone Experience. 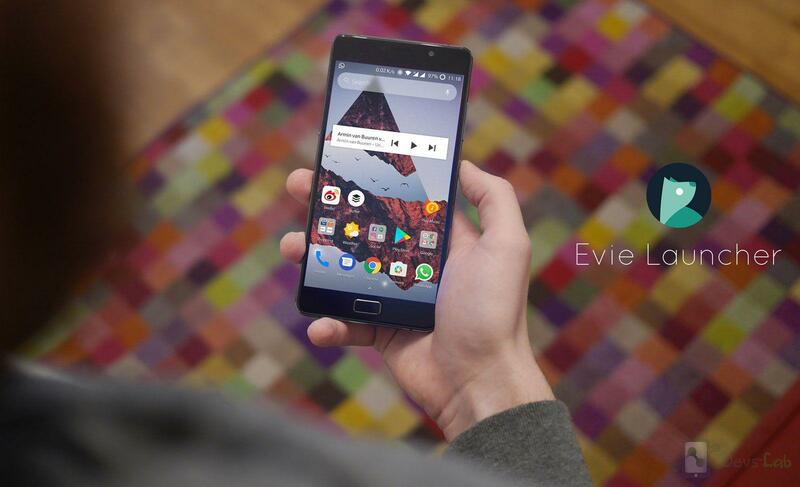 Many of you might be confused in which one to go for among this 10 best Android Launcher. I would prefer Action launcher to start with, as it has clean design but the free version isn’t much of use. 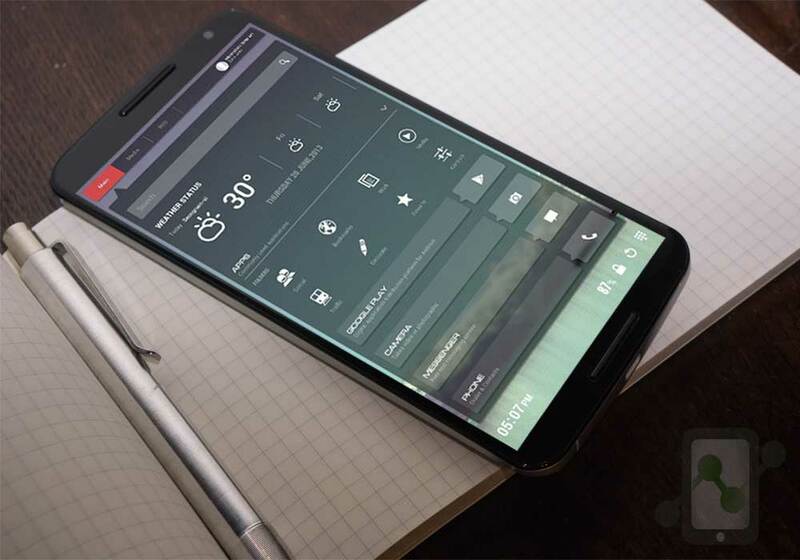 Let us know if we missed out any Android launcher that you want to see in this list.